On May 2nd we visited the island of Crete for several hours. We visited the ancient Minoan ruins near the city of Heraklion and then toured the Archaeological Museum in the city. 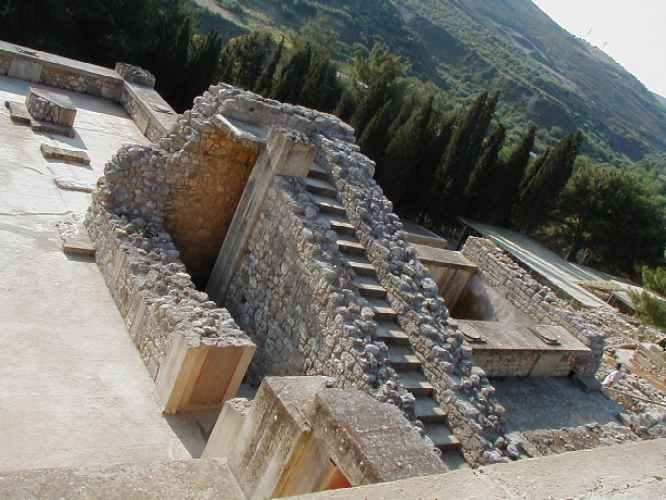 The left photo is a view of a potion of the Minoan Ruins, the Palace of Knossos, which are approximately 5,000 years old. 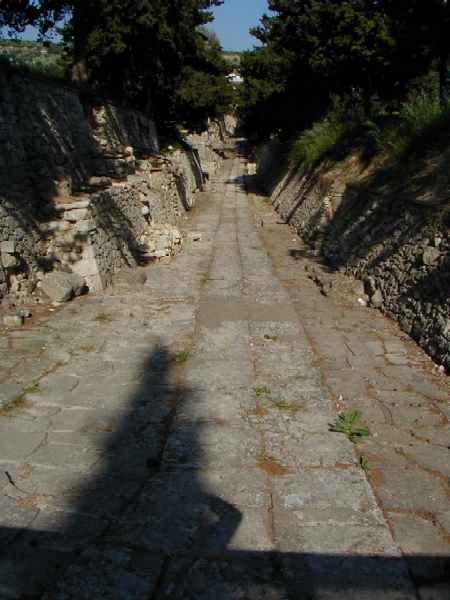 The right photo is an ancient Minoan road. Our guide stated the road was 4,000 years old and is the oldest road in Europe. 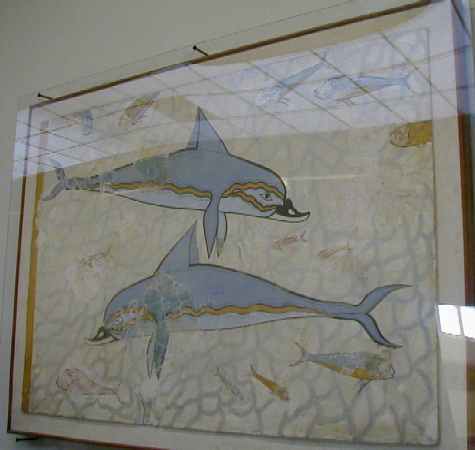 The above paintings were removed from the Palace of Knossos and are preserved in the Archaeological Museum. 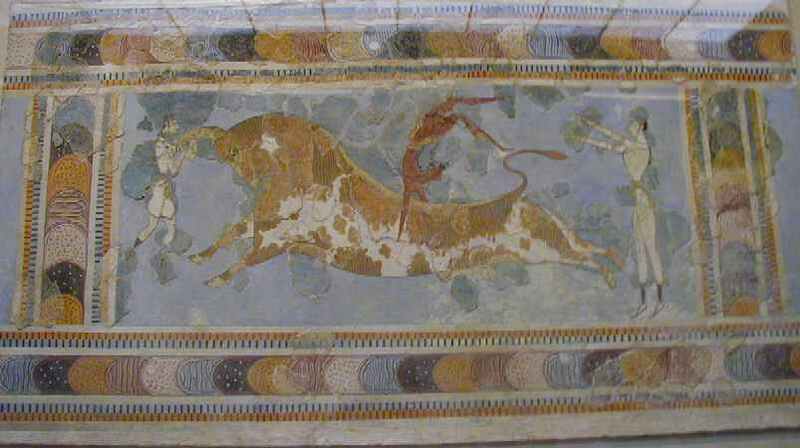 These paintings are over 4,000 years old. 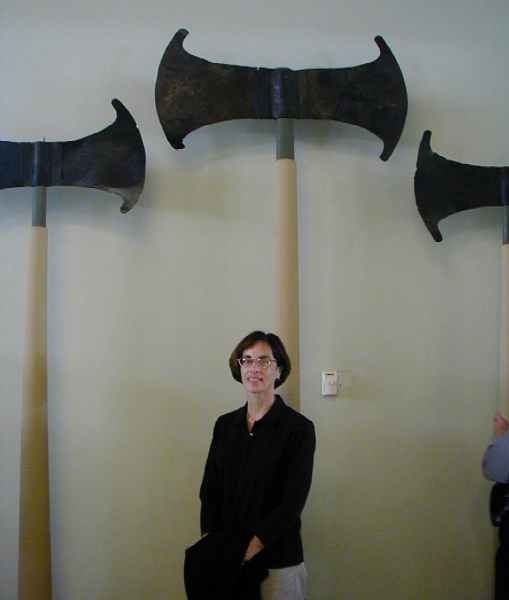 In the left photo, Terrie is standing by some very large double axes which were removed from the Hall of the Double Axes at the Palace of Knossos. 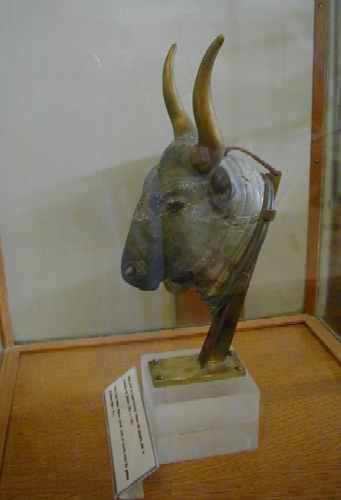 The right photo is a bull's head drinking vessel found in the Palace of Zakros.